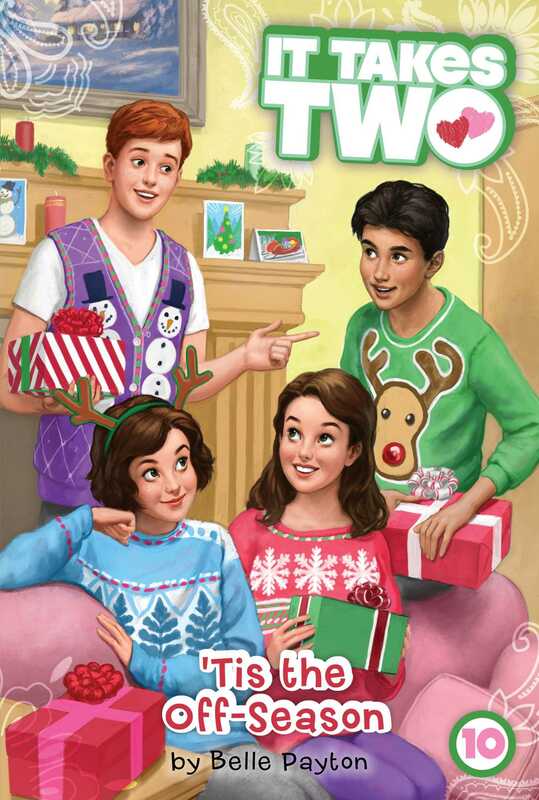 Alex and Ava team up to take on the holiday season in Ashland in the tenth book of the It Takes Two series! Football season is finally over, and Alex and Ava can’t wait to spend some more quality time with their family. Until their parents start acting totally unfair, that is! First they tell Ava that she can’t join the basketball team because she needs to focus on her schoolwork, and then they tell Alex she can’t host a Secret Santa party at their house after she’s already agreed to it. What is Alex supposed to tell her friends? On top of everything, Coach and Mrs. Sackett decide that they’re all going to stay home for the holidays instead of heading back to the East Coast. What kind of Christmas could it be without snow? Will the arrival of an unexpected guest remind Alex and Ava of all the things they have to be grateful for?